The balance sheet is a company's statement of net worth. 3. What Are the Key Performance Indicators for Researching Stocks? Balance sheets summarize assets, liabilities and shareholders' equity, which is the difference between assets and liabilities. Investors use the balance sheet and the income statement, which shows revenue and profits, and the statement of cash flow, which summarizes the cash inflows and outflows. The balance sheets of financially strong companies typically have healthy cash balances and low debt levels. Liquidity is a company's ability to pay its short-term bills. You can use the current and quick ratios to measure liquidity. The current ratio is the ratio of current assets, such as cash and accounts receivable, to current liabilities, such as accounts payable and short-term debt. A company with a current ratio of one or higher has sufficient liquid assets to pay off its short-term liabilities. However, a ratio of less than one could indicate cash flow problems. A more stringent measure of liquidity is the quick ratio, which excludes inventory from the current assets calculation because it is not always possible to liquidate inventory quickly. Leverage is the use of debt to finance operations. Companies with high debt levels could face cash flow problems, especially when interest rates are rising. One way to measure if a company has too much debt is to calculate the debt-to-equity ratio, which is the ratio of total debt to shareholders' equity. It shows the relationship between what the owners and the creditors have invested in a company. If the ratio is too high, the company might face higher borrowing costs and might not be able to take on additional debt. However, a low debt level could mean that the company is not investing sufficiently to grow the business. Inventory includes raw materials, finished and unfinished goods. Inventory levels often fluctuate through the year. For example, retailers may stock items ahead of the busy holiday selling seasons and reduce inventory levels at other times. Inventory levels may rise for companies that are launching new products or experiencing higher-than-anticipated demand for existing products. However, companies that overestimate demand or face changing customer preferences might have excess or obsolete inventory. In addition to increased storage costs, companies might have to liquidate or write down surplus inventory at substantial losses. The notes to the financial statements contain supplementary information that is relevant to picking quality stocks. These items include pending lawsuits, lease payment obligations and off-balance-sheet debt. You need to understand the implications of these items because of their possible impact on profit margins and share prices. Why Do Stock Prices Drop? 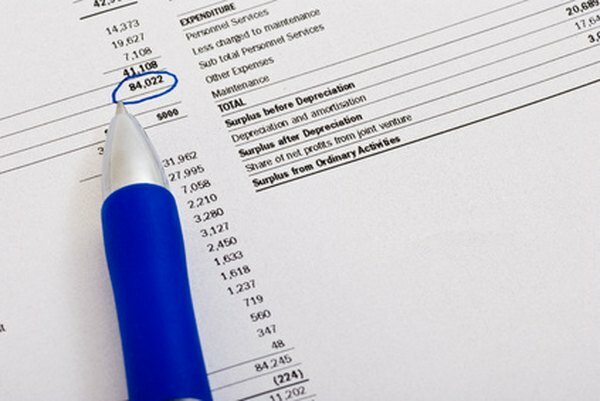 What Goes on Income Statements, Balance Sheets and Statements of Retained Earnings?